Just hours before House and Senate conferees announced an agreement on major tax reform legislation Wednesday, a Ways and Means subcommittee delved into how the shrinking Internal Revenue Service would handle the likely new responsibilities. Oversight subcommittee Chairman Rep. Vern Buchanan, R-Fla., said he envisioned $500 million in funding for reforms that would require IRS employees to design new tax forms, write new guidance publications and train customer service staff to implement a rewritten tax code. But Democrats seized the occasion to attack both the haste with which they perceive the leadership has pursued enactment of tax reform as well as the budget cuts of some $1 billion the tax agency has sustained since 2010. Some provisions in the still-unfolding bill, according to reports, would actually take effect on Jan. 1, 2018, requiring staff to act fast after the New Year. The IRS staff has shrunk by 15,000 employees since 2010. The witnesses, reluctant to opine on the contents of the tax reform legislation, did agree that the IRS needs more funding. “It is the face of the federal government for most citizens,” said Jennifer MacMillan, the government relations chair for the National Association of Enrolled Agents, whose members pass a test to become professional tax return preparers. “Increasingly, enrolled agents, who are the frontline representatives of taxpayers at every level of the tax administrative system, are expressing the view that the quality of taxpayer service within the IRS has deteriorated to an unacceptable level over the last five years.” The percentage of calls answered at call centers has declined to 37 percent, though it improved last year, she added. As the agency shifts more services online and reduces human staff, many taxpayers in rural areas may lose easy access, said Tameka Lester, associate director of the Phillip C. Cook Low Income Tax Clinic at Georgia State University College of Law. Electronic communication “will be helpful for some taxpayers, but cannot be the primary touch point because the Internet, scanners and smart phones are not available to everyone." 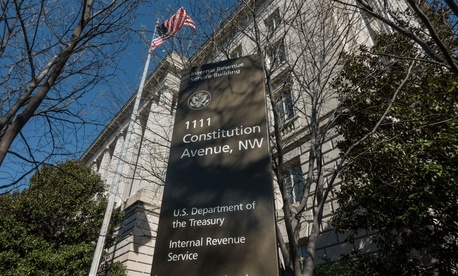 Since 2011, the IRS has reduced the number of taxpayer assistance centers from 401 to 376, she said. Volunteer tax aid provider Karina Ron, director of the Center for Financial Stability at the United Way of Miami-Dade, said demand for the Volunteer Income Tax Assistance program continues to grow. Currently used by 1.3 million taxpayers, this free service to would grow to 19 million “if it were readily available,” funded and permanently authorized, she added.